A number of studies by think tanks and NGOS over the last few years have shown that military drone technology has spread to over 90 countries, however, the ability to use armed drones has until recently remained in the hands of only a relatively few states. Some media reports, perhaps egged on by special interest groups, can give the impression that the skies are already filled with armed drones from many countries, ready to strike at any moment and so there is little to be done. However, while the numbers of countries operating armed drones is increasing, we are not yet at the point of being unable to control the proliferation and use of these systems. Drone Wars has sifted through much rumour, hearsay and propaganda from various countries to find out exactly who has manufactured, exported or acquired armed drones, and in what ways these drones have been put to use. We believe our report gives a clear picture of the reality of armed drone proliferation and the implications for global peace and security. Click image at the right to read report. The report also looks at the international mechanisms under which the export of armed drones is controlled and discusses whether they are fit for purpose. The report ends with a call to the UK government to support a new initiative, developing under the auspices of the UN agency UNIDIR, to build a multilateral process to address the concerns around the proliferation and use of armed drones. Turkey, Pakistan and Iran are actively using their own manufactured drones. Iran has, it seems, supplied Hamas, Hezbollah and the Houthis with armed drones while ISIS and the PKK have attached small explosives to off-the-shelf drones. Turkey are thought to be concluding deal with Qatar and the Ukraineand South Korea are very close to beginning production of their own armed drones. As for the larger countries that one might expect to have already deployed armed drones, such as Russia and India, they still appear to be some distance from producing workable models. 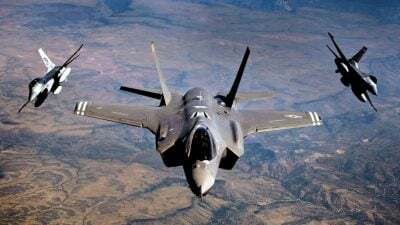 Moreover, the European countries who operate unarmed versions of US Predators and Reapers have been unable, until now, to convince the US to allow the export of armed versions. Italy and France look set to arm their Reapers in the near future, while Germany will take delivery of Israeli Heron drones that they can reportedly arm. Meanwhile several cross-European projects are underway to develop indigenous armed drones within the EU. Many of the states who have employed armed drones have done so to monitor and strike against armed groups within their own country. Nigeria against Boko Haram, Turkey against the PKK, Egypt against Sinai Province, Iraq against ISIS and Pakistan against al-Qaeda and associated groups. This is over half of the new (state) operators of armed drones and highlights how the ‘war on terror’ is facilitating the spread of this particular military technology. The ability of military drones to gather intelligence from hard-to-access areas and monitor individuals of interest and strike at a moment’s notice has proved attractive option for dealing with internally armed groups. However, given the US precedent of using drones for targeted killings, this raises questions about whether the spread of drones will help or hinder the rule of law in this area. Other countries have used their armed drones in extraterritorial conflict, such as Saudi Arabia, UAE and Iran, and UAE, Egypt and possibly Iran and others in Syria. The findings of this report serve as a reminder that the developing proliferation of armed drones is a reality and that the international community must take seriously the consequences of both drones in the theatre of war, and their use in the war on terror for extra-judicial killing. With the numbers of operators of armed drones having more than quadrupled in the last five years, when NSAs are taken in to account, it is highly problematic that there has been such limited development on controls for proliferation and use of armed drones. The recent lobbying in the US has only served to convince the Trump administration to roll back conditions on export, with more of the same promised. Given the diversity of states that have engaged the use of armed drones and China’s prolific sales, it is incumbent upon all members of the international community to engage speedily and thoroughly in an open, UN-led process that will deal with both proliferation and use.